What else do I even need to say? I could just share this image and end the post. 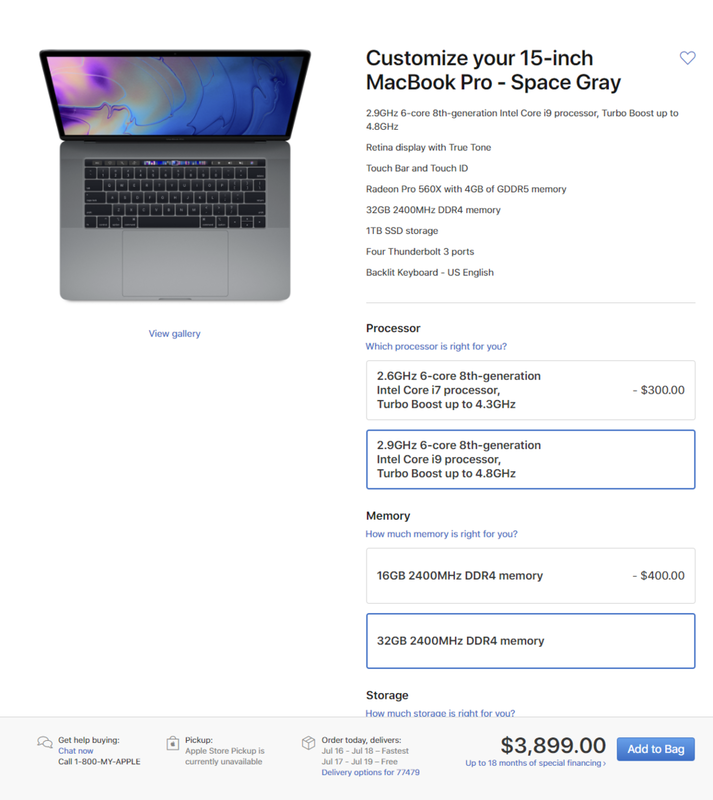 You get the idea, MacBook Pros are now available with 32GB of ram! But wait, there's actually more good news. They also come with the eighth-gen Intel series processors that are way faster than the previous version. The 15 inch version also allows you to upgrade to a 6 core Intel i9 processor too! What does this all mean? Speed and power duh. Here's some Photoshop performance numbers to wet your appetite. No wait, there's even more. They've also teamed up with Black Magic to produce an external GPU to enhance production! Oh hell yes. Everything can't be good news, right? You're right haha, sorry. They still have their butterfly-keyboard, which in all honesty hasn't been loved by the industry. The other downside is that you can't upgrade the RAM by yourself either so you'll have to be set on your specs before you get it. But that really isn't new. Also, if you want a MacBook Pro with it speced out with all these goodies, it's going to set up back nearly $4,000. This is just with 1TB of storage space (SSD). 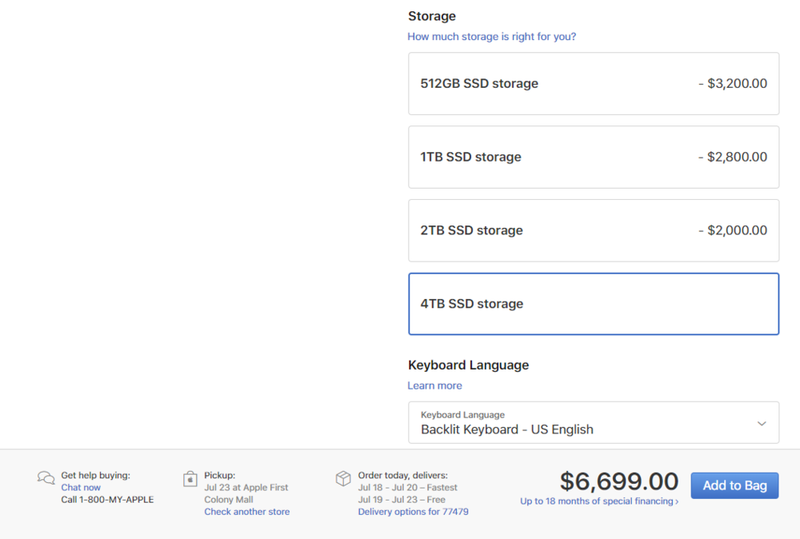 If you want 4TB of storage space (SSD), it's going to cost you your sanity. If you combine it with the eGPU it will be a little more. Why does an additional 3TB cost so much? Because.